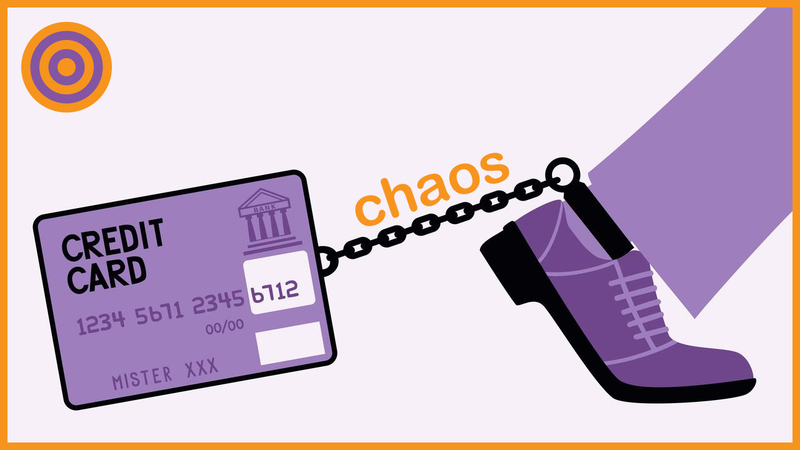 This is the first blog post in a series called Credit Card Chaos™ inspired by a chapter in my book, The Ultimate Bitcoin Business Guide™, with the same name. The chapter highlights the ridiculousness of the theory of how credit cards work so this blog complements the theory by showcasing real life ridiculous credit card stories. The following is a good one so read on and enjoy. My first blog post on this topic came for my own life story of extreme credit card pain. As you probably know by now I am a CPA and business advisor specializing in cryptocurrency including tax advice. As another tax season rolled around for 2016 it was time to renew our intuit ProSeries Tax Software. Our ProSeries Rep suggested that we try a new web based product called Intuit Tax Online. The benefits seemed obvious so we eagerly signed up, transferred and converted all the prior year tax files and completed our first client tax return of the year. Then it came time to pay for the per tax return software fee using you guessed it, a credit card. Because we are all about speed and efficiency we right clicked our Last Pass Form Fill Profile to instantly populate the credit card information which would otherwise be less than a 30 second exercise to complete the payment. This platform requires the works when it comes to credit card information fields including the full address resulting in an address match during the payment approval process. The address you provide is matched with the address on file with your credit card. When someone actually enters the credit card address that matches the one on file, they don't expect to get a matching error because there shouldn't be one in the first place. So this brings us back to me entering the correct address and getting an address mismatch error. After several more times I finally noticed that their System automatically changed the last digit of our ZIP Code from a 1 to a 4 after clicking submit. I was baffled as to why their system was automatically changing my information on my behalf. But then I remembered it must be Credit Card Chaos™ in action. After several more failed attempts I was excited to see a chat box thinking I could easily solve it through a quick online chat which is my preferred method of communication. The chat started going on and on and on as I explained how their system was automatically changing that one digit in my ZIP Code thus causing the mismatch. Then we started a remote computer sharing session since they didn't believe what I was talking about. One department went back-and-forth with another promising they would get this solved for me as the clock ticked on. They kept asking me to log out, log in and click submit payment again. Interestingly they had no explanation for the ZIP Code hijacking other than a USPS address verification. In a snarky tone I asked them if they were shipping me a package. USPS address matches are only relevant and valuable when someone is making sure a package gets to the right place. Ok hold on this story is so good I couldn’t make it any shorter and decided to post it in two parts the best of which is in the next blog post.